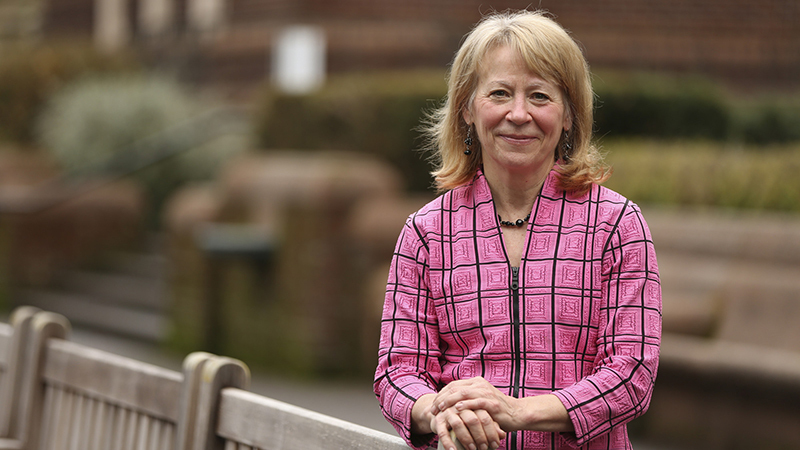 UO chemist Geri Richmond has been elected to take on a three-year leadership role in Sigma Xi, the world’s largest multidisciplinary honor society for scientists and engineers. Beginning July 1, 2018, Richmond will begin serving three one-year terms, respectively, as president-elect, president and immediate past president for the organization that gave her an award that, as an undergraduate student at Kansas State University, gave her confidence as a young woman pursuing a career in science. “It’s my turn to give back to Sigma Xi to try to have the same kind of impact on its upward trajectory as it had on mine,” said Richmond, a UO presidential chair who recently completed the same sequence of leadership with the American Association for the Advancement of Science. During the Sigma Xi election process, Richmond said that one of her primary goals would be to raise the visibility of Sigma Xi and the organization’s programs, both nationally and globally, increase revenue and membership. She also praised Sigma Xi’s long-running commitment to diversity. Richmond holds numerous awards. In 2016, she was given the National Medal of Science, which recognized both her research and outreach to help women around the world forge successful scientific careers. Last summer, she was chosen as the recipient of the 2018 Priestly Medal, the highest honor given by the American Chemical Society. Her research on the molecular properties of water surfaces has shed significant light on how a water surface is altered when oils, dispersants, surfactants and gaseous pollutants connect with water. In 1998, she founded the Committee on the Advancement of Women Chemists, an organization more widely known as COACh that has assisted in the advancement of thousands of women scientists in the U.S. and in developing countries.